The Android tablet market isn’t as busy as the smartphone world, but this doesn’t mean vendors aren’t active. We recently saw Xiaomi launch the Mi Pad 4 tablet and today, we have fresh details of what could be Samsung’s counterattack in the budget slates’ market. A device with model number SM-T387 has been cleared by the Wi-Fi Alliance and it’s headed to multiple U.S. carriers, confirming that it’s an LTE device. The one with model number SM-T387P is destined for Sprint, SM-T387V is heading to Verizon while SM-T387T and SM-T387R4 are headed to T-Mobile and U.S. Cellular, respectively. There’s also SM-T387AA and SM-T387VK, with the former probably destined for AT&T. Now, we know that Samsung Galaxy Tab A 2017 LTE has model number SM-T385 (and SM-T380 for the Wi-Fi-only variant). 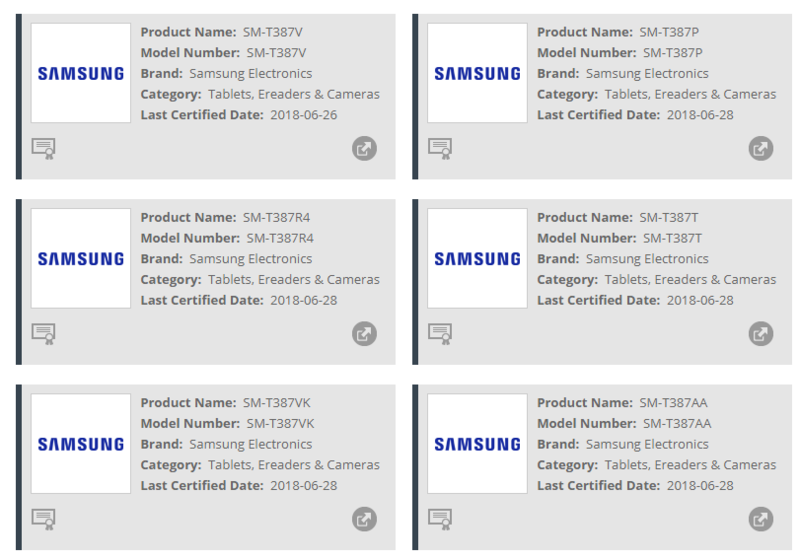 Looking at Samsung’s numbering scheme, we would expect to see a Galaxy Tab A 2018 with model number SM-T395 for the LTE variant (and SM-T390 for the Wi-Fi only variant). Instead, we have SM-T387, which implies that this could be a “mini update” that presents a slightly amped-up version of the Tab A 2017 and not a completely new device. It’s worth noting that this is just a hunch, but we’ve seen Samsung doing this before. In 2016, it launched a Galaxy Tab S2 tablet that was a revised version of the original Tab S2 released in 2015. If anything, this could be Samsung pulling a similar stunt. As for the specs, all we know at the moment is that they’ll all come preinstalled with Android 8.1 Oreo, at least according to the certifications. 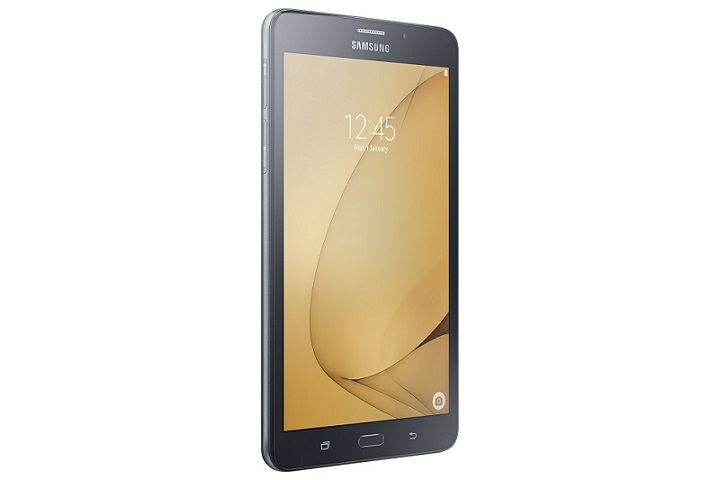 The Galaxy Tab A 2017 was released in September, but given that this doesn’t look like a completely new device, it’s likely to see an earlier launch, especially now that it has already passed through the Wi-Fi Alliance.